DENVER, Colo. – Today, Frontier Airlines announced the addition of six new routes to its network. With flights to two new cities – Burlington, Vt. and Portsmouth, N.H. – Frontier now serves 103 cities and 44 states. The carrier will add four new destinations at Orlando International Aiport – expanding its offering to 54 nonstop destinations, the most offered by any airline at OIA.To celebrate these new routes, Frontier is offering special introductory fares as low as $39 each way. Depart MCO: 10:40 a.m. Arrive LIT: 11:59 a.m. Depart LIT: 12:50 p.m. Arrive MCO: 4:08 p.m. Depart MCO: 11:10 a.m. Arrive SDF: 1:15 p.m. Depart SDF: 2:05 p.m. Arrive MCO: 4:10 p.m. Depart ATL: 8:09 a.m. Arrive SRQ: 9:39 a.m. Depart SRQ: 10:30 a.m. Arrive ATL: 12:10 p.m. Depart PHL: 6:00 a.m. Arrive MBJ: 9:56 p.m. Depart MBJ: 10:56 a.m. Arrive: PHL: 2:40 p.m.
Frontier is focused on more than low fares. The carrier offers customers the ability to customize travel to their needs and budget. For example, customers can purchase options a la carte or in one low-priced bundle called the WORKSsm. This bundle includes refundability, a carry-on bag, a checked bag, the best available seat, waived change fees and priority boarding. and is only available at FlyFrontier.com and Frontier’s mobile app. The airline’s reimagined frequent flier program, FRONTIER Miles lets members enjoy many benefits as well as attainable Elite status. Like the airline, FRONTIER Miles is family friendly and the new program makes it easy for families to enjoy the rewards together, including family pooling of miles. 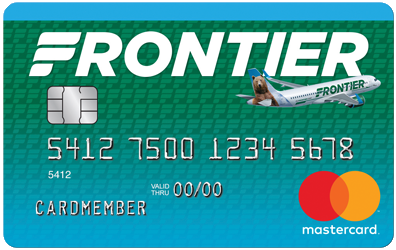 FRONTIER Miles is aptly named, because you earn one mile for every mile flown – no funny formulas at Frontier. If a customer travels a little or a lot, they will find FRONTIER Miles rewarding. Fares must be purchased by 11:59 pm Eastern time on Sep. 14, 2018 for nonstop travel. For Portsmouth, Little Rock and Louisville, as well as between Atlanta and Sarasota, travel is valid Nov. 27, 2018 through Feb. 13, 2019. Fares are valid as indicated below dependent on days of service. The following blackouts apply: Dec. 20, 2018 – Jan. 8, 2019, and Jan. 18 - 21, 2019. For Burlington, travel is valid on Wednesdays Feb. 13, 2019 through Apr. 17, 2019. The following blackouts apply: Feb. 27, 2019, Mar. 6, 2019 and Mar. 27, 2019. Fares are one way and do not require roundtrip purchase. Frontier Airlines is committed to delivering ‘Low Fares Done Right’ to more than 100 cities in the United States, Canada, Dominican Republic, Jamaica and Mexico on more than 350 daily flights. Headquartered in Denver, Frontier Airlines is the proud recipient of the Federal Aviation Administration’s 2016 Diamond Award for maintenance excellence and was named the industry’s most fuel-efficient airline by The International Council on Clean Transportation (ICCT) as a result of superior technology and operational efficiencies.